We offer a range of services to start and support your business in Georgia. If your requirement is not in our list of services, do not hesitate to contact us. Briefly inform us of your plans in Georgia. We'll make needed arrangements for your enjoyment and success! Just shoot your request or question. Our online advice is free! Accurate information is vital for making successful business and marketing decisions. We provide custom-tailored solutions that will meet your research objectives. Upon your request we prepare high quality reports that deliver the results exactly as you need them. We assist non-Georgian businesses introducing themselves into the local market, support the set-up of incorporation / branch in Georgia, can obtain needed business licenses for foreign-owned companies. As private businessmen and companies continue to seek new developing markets, challenges clearly remain. You need to keep an eye on local peculiarities and rules and anticipate the impact of key business decisions on your accounting and financial reporting. Our Advisory Services practice assists businessmen in accounting and financial reporting challenges and provide practical, business-focused advice. - General assistance in start-up stage, registration, licensing, banking. - Every-day accounting services and reporting. Auditing. - Import – Export support and custom formalities. Land, private homes, cottages, apartments, construction areas, offices, commercial, administrative, industrial and warehouse areas. While your being in Georgia we offer you the best price/quality option for your comfort accommodation and enjoyment. Short basic info about Georgia, helpful for you to make better choice. Ethnic composition: Georgians 84%, Azerbaijanis 6.5%, Armenians 5.7%, Russians 1.5%, Ossetians 0.9%, others including Greeks, Ukrainians, Yezids - 1.4%. Borders: Black Sea 330km, The Greater Caucasus Mountain Range forms the 723 km northern border with Russia, Armenia 164km, Azerbaijan 322 km and Turkey 252 km. Local time: Georgia is in the UTC+4 time zone. Electricity: Georgian supplies current of 220 volts AC, 50Hz. Sockets require two round pins. 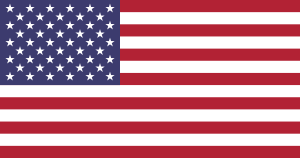 You do not need a visa to enter and stay in Georgia for up to 360 days if you are a foreign national who permanently resides in the USA, Canada, EU, New Zealand, Israel, United Arab Emirates, Iraq, Japan, Republic of Korea, Brazil, United Mexican States, State of Qatar, Sultanate of Oman, Kingdom of Bahrain, State of Kuwait (check the full list at www.rs.ge/ en/5418) do not need visa to enter and stay in Georgia for up to 360 days. Citizens of the member states of European Union can enter Georgia merely by producing their national identity card. Russian Federation and Ukraine citizens do not need a visa to enter and stay in Georgia for up to 90 days. If you’re not from one of the above countries, you can get a visa from a Georgian embassy or consulate. An “Ordinary” 90-day, single-entry visa, which covers tourism, is US$50. Visas are also issued at the official road and air entry points, but not if you are arriving by rail or sea. Foreign nationals who have a multiple entry US, EU or Schengen member states visa, valid for one year or more and previously used once at least, can enter or stay in Georgia without visa up to 90 days, within the validity term of the visa. Foreign nationals who are holders of the UNO’s or its specialized agencies’ travel documents (Laissez-Passer), can enter or stay on the territory of Georgia without visa up to 90 days. Georgians are proud of their national cuisine, and rightly so. There are many distinct dishes, with regional variations. Meat, pastries, dumplings, stews and vegetarian dishes are all represented, though fish features only lightly. Georgian food isn’t hot and spicy, but it is certainly flavorsome. Walnuts, pomegranates and garlic, cheese, beans, aborigine, spinach and plums are all used to devastating effect. In the summer, fresh coriander is used extensively, so this could cut down your options if you don’t like it. The soils of Georgia are very rich and the fresh fruit and vegetables they produce are flavor bombs. Sink your teeth into peaches or plums and the taste explodes. Oh, and the grapes…. One of the main reasons Georgian food is so good is because of these amazing ingredients, much of which is produced by small farmers and sold straight to you at the local fruit and veg market. Just buying some bread, tomatoes and fruit here will be a stunning eal. There are many restaurants specializing in Georgian foods in Tbilisi, they vary in quality, of course, but most are good. They wouldn’t last long if they weren’t as Georgians are discerning eaters when it comes to national cuisine. However, if you can, get yourself invited to eat at a Georgian home, that is where the really great food is cooked. You MUST try Georgian food. It is delicious and distinctive. Georgian culture is unique and vibrant. Georgians treat their culture very seriously. It is not considered something just for museums and tourists but a vital part of their every day identity. It is not just something valued by older generations but young people too. Georgian culture has evolved over thousands of years and has also absorbed influences from many invaders through the millennia, yet making them their own. The folklore is rich, the dance both beautiful and powerful, the singing is sublime. Literature, fine arts, theatre and music all also have long and strong traditions. If you do nothing else, try and witness some authentic Georgian dancing and listen to a polyphonic choir. You will be moved. The absolutely dominant religion in Georgia is Eastern Orthodox. Georgia is among the first Christian countries in the world as it’s regions officially became Christian in the 4th century. Georgians take their religion very seriously. However centuries of Persian and Turkish invasions left a deep Muslim mark. Armenians are the second biggest religious minority (3.9%) in Georgia after Muslims (9.9%). Catholics – 0.8 %, Yezids - 0.4%, Jews - 0,1% are presented in the city too. Tbilisi International airport is about 17,5 km East of Tbilisi Centre. The main terminal provides good passenger services. The queues at passport control are usually short and the baggage delivery is prompt. Taxis are just outside the arrival hall and are available 24 hours a day. A taxi ride to the city Centre shouldn’t be more than 20 - 25 Lari. Taxis in Georgia are relatively cheap and it will be the quickest and least stressful option. Tbilisi is as safe as many European cities. In essence, the locals are usually friendly and welcoming. Generally, foreigners are seen as a valuable asset and you are unlikely to encounter any problems. If you do have any encounter with crime, the police are friendly and helpful. Police corruption in Georgia is incredibly rare. You can bring 400 cigarettes, or 50 cigars or 50 cigarillos or 250 grams of other tobacco products as well as 4 litters of alcoholic beverages into Georgia without declaring it at customs. There are allowances for importing without declaration up to 30kg of food, not exceeding 500 Lari, once in a calendar day. Import or export of money up to 30000 Lari or equivalent in other currencies is exempted from duty. Exporting antiques and old works of arts is subject to licensing and permission from the Ministry of Culture. Cats and dogs must be accompanied by veterinarian health certificate. All international regulations on narcotics, guns and explosives apply. WiFi network works in some city areas. It is free and doesn’t require any registration, but is rather slow. But almost every café/restaurant/bar has good free WiFi for their customers. Fixed line: Tbilisi telephone code is (+995) 32. To call from a landline within Tbilisi to another number in the city just dial last 7 digits of the telephone number we list. If the number starts with 3 digits (e.g. 559, etc. ), dial 0 and then full 9 digits number. You can get a Georgian SIM-card (sometimes even for free). You’ll need to show your passport. Calling from a mobile to a fixed line phone, dial 0, then the city code (32) then the 7 last digits. Calling to other mobiles is tricky. Sometimes it is enough just to dial the last 9 digits of the number. If that doesn’t work, just dial the full number starting 995. Roaming: To call a fixed line or mobile in Georgia you should dial +995 instead of 00995. Support 4 Business is a business support portal with useful information and advices for prospective investors in Georgia. Best info page about the business climat and safety in this country, local culture, habits and cuisine. Market research, registration, licenses and professional staff. Legal support, representation in the court, assistance in commercial disputes. The website is constantly updated and reviewed. We are always working on adding more and more interesting stuff. Enjoy browsing the site and feel free to contact us - we are working for your convenience !